‎Successful Digital Serial Entrepreneur who sold his last startup mobile2win to Walt Disney. Power speaker and a lucid as well as engaging presenter with a passion for innovation, out-of-box thinking and business creativity. ​Alok Kejriwal is a serial digital entrepreneur and is currently the CEO and Co-founder of Games2win, his fourth company. Games2win is a global mobile games business that entertains over 20 million unique users a month. In 1998, Alok created contests2win.com – India’s first online contesting site that spearheaded the creation of digital promotions in the world. In 2006 Alok successfully sold his Mobile Startup Mobile2win to Walt Disney and Norwest Venture Partners in China and India respectively. He has successfully raised venture capital from some of the world’s leading VCs such as Softbank China, Siemens Acceleration, Clearstone Venture Partners and Silicon Valley Bank. 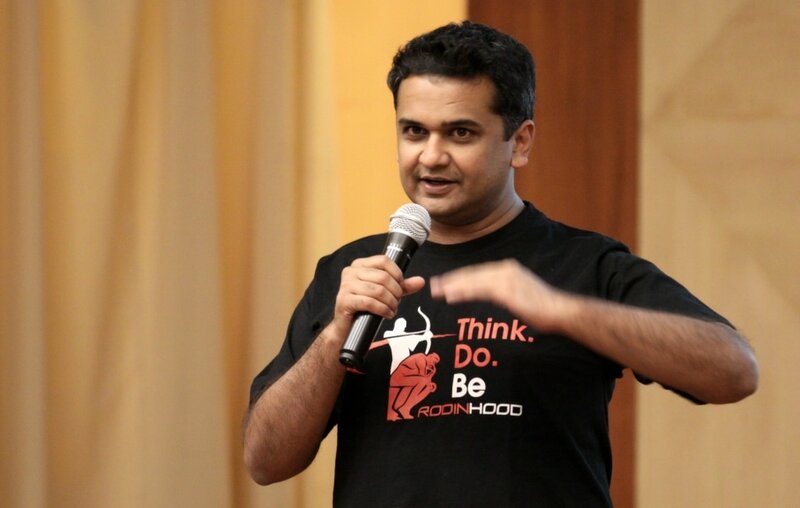 Alok is a passionate speaker, presenter and content creator. He has spoken at over one hundred conferences including venues such as the Wharton and Harvard Business Schools, many of the IIMs and IITs in India, The Chopra Foundation’s ‘Sages & Scientists’ , India Today Conclave, Business Today MindRush, TEDx and at numerous corporate and industry events for esteemed organisations like AIMA, Religare, Deloitte, Bajaj Finserve, Kotak Securities, et al. In December he was invited to the Rashtrapati Bhavan to speak on Entrepreneurship in the august company of the President of India. His expertise is entrepreneurship, starting up and he has a deep understanding of the digital and mobile industry. He is frequently invited by Indian business channels to share his opinion or debate on a current topic related to startups or technology. Alok’s presentations are special. His signature style is to present stories via pictures and to skillfully include and engage the audience with the narrative. In each of his presentations Alok presents a real life entrepreneurial and leadership problem that tests and delights attendees. His most famous topics include Fostering Entrepreneurship in Corporate Environments; Thinking like a Entrepreneur; Making Family Businesses Entrepreneurial again; Understanding Digital Disruption, Creating Value from Ideas.